Touching a star is not an easy one. The sun is huge, being composed of plasma that generates a magnetic field that has a chaotic activity. This is what NASA wants to do with the Parker Solar Probe, launched Sunday on a Delta IV Heavy rocket. UPDATE August 12 - The Delta IV Heavy Rocket, which features the Parker Solar Probe probe that will analyze the Sun's external atmosphere, was launched successfully on Sunday, August 12, at 3:31 am EDT (10:31 PM ) in Florida. UPDATE August 11 - The launch of Parker Solar Probe was postponed for 24 hours for Sunday morning. NASA failed to launch the probe on Saturday, as scheduled. After more than 30 minutes delay, the launch window for Saturday, the Delta IV Heavy rocket carrying the Parker probe, closed at 4:38 am EDT (11:38 GMT), so US space agency officials given up. The solar probe would be launched from Cape Canaveral Air Force Station, Florida, on Sunday (12 August), starting at 3:31 am EDT (10:31 AM GMT), if weather permit . NASA must launch Parker Solar Probe by August 23. The mission of the $ 1.4 billion mission is to reach 6.4 million kilometers of the Sun, a distance that is sufficiently small to analyze the mysterious atmosphere, solar winds and other properties. Science Alert writes that Parker's information will help predict the space weather, the time of the violent solar explosions that can lead to the destruction of the Earth's electricity network or satellites. Undertakers to reach the Sun, the Parker probe must escape the Earth. The probe will travel aboard a Delta IV Heavy missile, one of the most powerful operational vehicles on Earth. NASA chose this rocket because the road to the Sun, nearly 150 million kilometers, is difficult. The Earth orbits the Sun at a speed of 170,000 kilometers per hour, with the same speed being launched any rockets on the planet. To reach the Sun, the probe will have to slow down to 85,000 kilometers per hour. Three different rocket stages will help propel the probe, but it will not carry the probe to the Sun, but it will send it to orbit to Venus, which will then direct it to the Sun. Under the first orbit around the Sun, the probe will be 25 million kilometers from the star. In orbit number 21, in December 2024, it will reach 6.4 million kilometers of the Sun and will travel at a speed of 692,000 kilometers per hour. At this speed, the Parker probe will become the fastest human object in space. 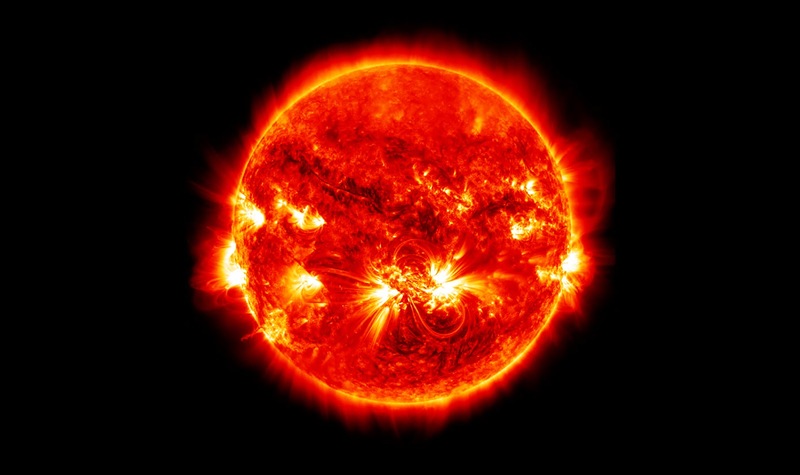 The solar crown is extremely hot and the vehicle will travel through material with temperatures above 500,000 degrees Celsius, being bombarded by the intense light of the star. The Parker Solar Probe has been designed to withstand extreme conditions and high temperature fluctuations. It has a specially designed shield and an autonomous system that will help protect the intense light emission, but will allow the crown material to "touch" the ship. Another key element is understanding the concept of heat versus temperature. Higher temperatures do not necessarily mean heating another object. In space, the temperature can be thousands of degrees without giving the heat to another object or feeling warm, because the temperature measures the particle motion rate, and the heat measures the total amount of energy it transfers. Particles can move quickly (high temperature), but if they are few, they will not transfer much energy (low heat). Since cosmic space is almost a vacuum, there are few particles that can transfer energy to the ship. For example, the corona through which the Parker will pass has high temperature but low density. It's like a person put their hand in a hot oven compared to a pot of boiling water. Although in the oven the temperature may be several times higher, the person will resist this environment more, because his hand interacts with much less particles than would happen in the boiling water. Scientists estimate that although the probe will pass through extremely high solar-specific temperatures, the surface will only heat up to 1,400 degrees Celsius. The probe will have a shield called TPS, or Thermal Protection System, which is 2.4 meters in diameter and 115 mm thick. These inches will keep the temperature indoors at a comfortable 30 degrees Celsius. This is a carbon composite built by Carbon-Carbon Advanced Technologies. It involves a carbon foam between two carbon plates. The thermal insulation is finished with a ceramic paint on the plate that will be toward the Sun to reflect as much heat as possible. However, the Faraday cup, a tool that measures ion and electron fluxes, will not be protected by the protective layer, but it is made of titanium-zirconium-molybdenum layers, an alloy having a melting point of 2,349 degrees Celsius. Engineers have also switched traditional sockets with sapphire crystal tubes, and inside will be niobium, a malleable transition metal. Also, solar panels will have a protection system, in this case a rudimentary cooling system compared to the rest of the vehicle. The system will use deionized water. With the release of the Parker Solar Probe, the researchers are waiting for the answers they have been looking for for over 60 years, and the mission idea came in 1990. But then there was no solution for the probe to survive extreme temperatures.